Kyō;;; is a Japanese-inspired get-away tucked beneath a skyscraper in Singapore’s bustling business district. 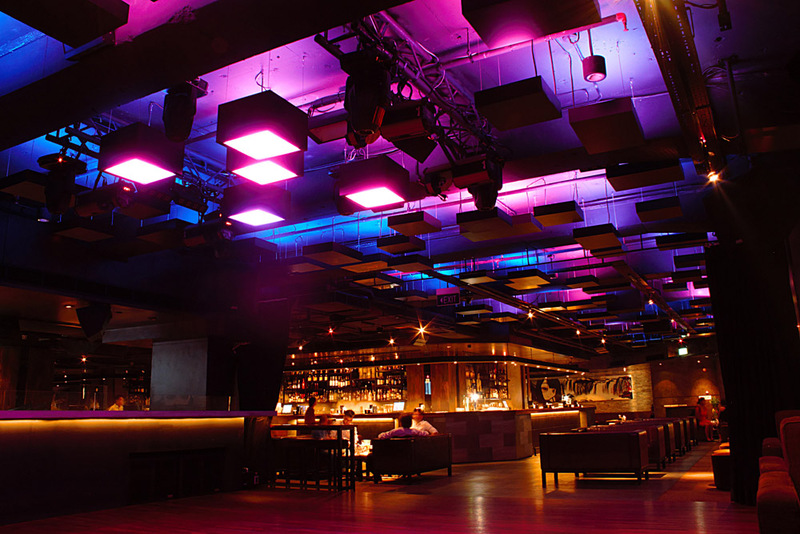 Featuring a uniquely-designed Martin lighting system that features Martin’s VC-Grid LED modules, Kyō;;; is this modern metropolis’s club of the moment. The stylish, low-ceiling nightclub features a different lighting concept than your typical night venue, one that relies more on indirect lighting rather than in-your-face illumination. Godwin Pereira, the man behind lifestyle group Limited Edition Concepts Pte Ltd, came up with the concept. “Most of the time people hang their LEDs facing and glaring downwards,” he says, but as he was going for an architectural effect, Godwin placed small VC-Grid LED video panels shining upwards, with light then bleeding out to other areas. The VC-Grid is a 200 x 200 mm LED video module with a 25 mm pixel pitch. Its compact size and easy set up with little cabling makes it extremely suitable for use in venue, set or stage designs. In Kyō;;; they are mounted inside custom-made boxes of various sizes and hung at various heights across the ceiling. Most of the VC-Grids used as indirect lighting point toward the venue’s black ceiling while five double boxes in the dance floor area house Grids that shoot both up and down. Those shooting down are diffused with sheets of acrylic. The custom boxes were designed and outsourced locally by Martin Professional Pte Ltd.
All of the VC-Grids plus the club’s existing club lighting fixtures run off of a compact Martin M2GO™ lighting console (3 DMX channels per VC-Grid). Jeffrey reports that the VC-Grid is actually so bright that Kyō;;; has dimmed them down quite a lot. He also adds that as guests first enter the club, because the black boxes are so well integrated into the ceiling design, they are surprised by the illumination and tend to ‘go crazy’ when the boxes are turned on.